Please join Family Office Insights for this luncheon on Wednesday, June 20th 2018 at 12PM. If you care to join us, please email admin@familyofficeinsights.com. 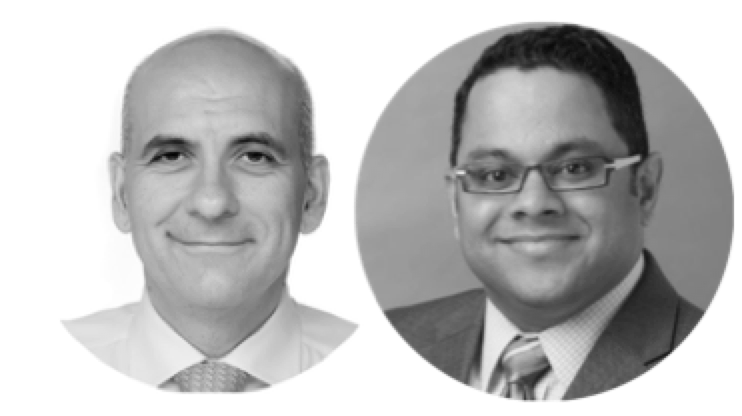 Family Office Insights sits down with Antonio Derossi, CEO, & Mahendra Nambiar, COO, of Fair Insurer to discuss the industry’s first Insurance Protocol on the Blockchain and a socially impactful carrier offering superior Blockchain-specific products to the global $2.1T Property & Casualty market. They are seeking to raise $100M with a pre-sale on the first $10M with discounts on equity (50% discount on the first $4M, 25% on the next $4M, and 10% on the next $2M). Tell us about your background and your company, Fair Insurer. My primary experience has been in management consulting. I’ve been in the insurance business for about 18 years at Capgemini Consulting servicing financial institutions. The last 8-10 years of my career have been focused on innovation and transformation of insurance carriers by helping them become more technologically savvy and be more digital to take advantage of big data, cloud computing, and the Blockchain. Antonio “Tony” Derossi, my co-founder and CEO, was the former CEO & COO at Fireman’s Fund and COO of Allianz Eastern Europe and Middle East. Prior to Allianz, Tony was at Mckinsey in their insurance group and is an Italian army veteran. He was a client of mine 5 years ago while he was at Allianz. He left Allianz to join Propeller Venture Capital Management to invest in InsureTech where we re-connected again to do some joint projects. Fair Insurer is a primary insurance carrier developing insurance products on the Blockchain for the property and casualty market. Insurance is a $2.1T industry and we are building products to service that market to leverage new more accurate data and capabilities of the Blockchain. Our goal is to use the Blockchain and third-party data to create new insurance products that reduces fraud, automates claims and settlements, and improves customer experience to disrupt the insurance market. There are no other insurance carriers built on the Blockchain today. Our goal is to develop a risk register of different assets like property, equipment, and individuals to create a base for superior underwriting and gain first mover advantage. The point of this is to get accurate verified data to put on the blockchain that will be a source for underwriting so it’s done correctly the first time. We will then use third party data like sensor data or data from an analytics company to keep track of that asset over time so that change trigger underwriting events. This fundamentally changes the nature of insurance as we know it today. We have assembled a seasoned insurance and technology team to scale Fair Insurer rapidly and realize our vision to be leading socially impactful insurer. Who is Fair Insurer’s target market? Our products will be in property and casualty with a mix of commercial (business focused) and consumer-focused products. To start, we are going to launch products that will hit different markets in industrial states where there is high fragmentation is some very large insurance markets. For example, workers compensation insurance (a $16B US market) is federally mandated for every company, so we are strategically targeting manufacturing and construction-heavy states like Michigan, Indiana, and Ohio. Home insurance (a $80B US market) for mass affluent is another target, where we are going to create a Perpetual Home Insurance product, which is the traditional home insurance with a twist. You pay a refundable deposit for the insurance one time at the time of sale and your home is insured for life. Another example is title insurance ($13B US market), which is required in the U.S. but not very common globally. It is a highly manual process today, which can lead to inefficiencies and can be reimagined with the Blockchain. In global markets, offering Titling and Title Insurance offers clear and specific advantages to the underserved reducing corruption during title transfer at the point of home sale. While larger insurance carriers have significant market share, it is a highly fragmented industry. Their offerings are also homogenous and it is hard to tell what the real difference between them aside from the price point. In many product segments it has become a price game, but we want to build better insurance products with social impact that are also cheaper. For instance, on the workers compensation product, we are partnering with safety management technology to improve safety conditions at work sites while providing premium discounts. We are offering better products, extending benefits down to the worker (with better safety and control of their Blockchain data), and making it cost effective for businesses. In terms of competitors, each state will have their own sets, but we know the big names like Travelers, Liberty Mutual and Accident Fund are the significant. Tony and I have been in this industry for a very long time so we know how they go to market and are positioned in a unique way to penetrate those distribution channels. In how we sell and distribute the product, we are not reinventing the wheel. We are going through the traditional broker-agent model, as that’s where the connections and interactions happen. Our second avenue is quite different however. We are partnering with the safety management and technology companies that we’re already working with because they have the existing relationships. They’re also in a position where they already sell to construction companies, so there is a natural progression to work as our distributor. Insurance is one of the oldest industries in the world. A lot of existing practices at incumbents are based on models from 50-100 years ago. The lack of progress in this industry is primarily due to the poor incentives for these companies to innovate and the lack of new entrants to challenge the status quo. There is also a high barrier to entry due to the heavily regulated, audited, and governed nature of this market. It requires high levels of cash on reserve, which is another barrier to entry. We also have to work with different states to go through the process of licensing and being approved in each state. While these barriers exist, they are also built-in protection for us once we are up and running; a blessing and a curse as with most things in life. We offer a fairer process for insurance in all areas – transparency in how it’s underwritten, how risk is managed, and the speed with claims and settlements happen. We are going to offer superior products at better prices and innovation that doesn’t exist today. We will also have social impact by offering services globally to break the cycle of corruption and create protections during significant life events like home sales. We will also be able to offer more affordable insurance in developing economies to service the underserved population. In the workers compensation market, we recognize that the individual construction worker doesn’t have control over his/her data. We will give that control and exposure back to the individuals by opening up the data and making it more transferable. These new products and underwriting techniques will enable us to scale quickly and dramatically impact the status quo of the insurance industry. We are seeking to raise $100M. $40M will be used for operational costs for 2 years and $60M will be cash reserve for us to comply with U.S. requirements of being an insurer. We are having a pre-sale on the first $10M with discounts on equity (50% discount on the first $4M, 25% discount on the next $4M and 10% on the next $2M). Our ideal investor is someone who understands the financial services market or is an ecosystem partner of ours like real estate and construction companies, because they understand, participate, and connect with our ecosystem. Another ideal investor type would be someone who understands the power of Blockchain and cryptocurrency. We believe that crypto investors will be very interested in Fair Insurer as it also expands the blockchain eco system with a very real profitable business. Ironshore is a comparable Insurance carrier startup founded in 2006 to launch new specialty products to protect against hurricanes. The 2016 acquisition of Ironshore by Liberty Mutual happened for a disclosed price of $2.94B. There are other peer comparisons of similar growth and profitable exits that we have modeled the business after. Our reimagined insurance products that take advantage of the capabilities of the Blockchain will dramatically disrupt the P&C insurance market. We spent a lot of time thinking about what we will accomplish and how we will operate. Social impact is a given, but we are ultimately a fair insurance company that offers a wide variety of products to the market by leveraging the Blockchain and big data to create a world-class high growth insurance company. Fair Insurer takes advantage of historical and accurate real-time data (provided by IoT sensors and third parties) to increase underwriting profits, drastically reduce claims fraud and provide better customer service with rapid settlements. Using our Blockchain Insurance Protocol, products can reach millions ignored in under-served markets because of the high costs embedded in the traditional business model. This has the potential to impact millions of lives. We are actively fundraising and talking to commissioners, brokers, and other partners in the ecosystem to receive feedback and hone our products and our insurance protocol. We want to finish raising the capital so we can complete our licensing and realize this vision. 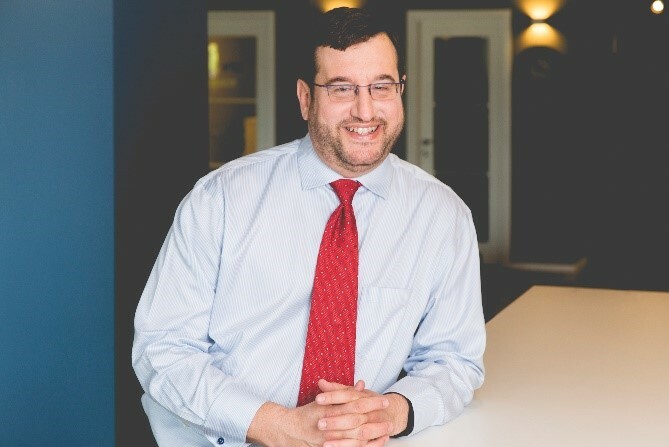 Antonio’s experience includes over 20 years in insurance operations and technology, first as a strategic consultant at McKinsey & Co and then in Allianz Group where he served as a C-level executive in Europe and the Middle East and most recently in the US as COO of the Fireman’s Insurance Fund. Tony also advises one of the largest investment banks on insurance related matters. In 2015, whilst at Allianz, Tony sat on a senior committee to examine how Blockchain could disrupt the current insurance business. It was at this point, he had an epiphany and realized that the incumbents would never change the current model and he left the corporate world to turn it on its head. He has spent the last 2 years working with data analytics companies and insurance start-ups to build new distribution models and working to build Fair Insurer. A versatile and entrepreneurial business leader with over 18 years of experience at Capgemini Consulting, Mahendra has delivered innovative solutions that enabled leading insurance firms to exceed targeted financial and operational objectives. Mahendra brings-to-bear deep expertise in establishing sustainable business operations, proven technology and architecture competencies, partnerships with fintechs, and deep insurance domain knowledge. He has practical experience in emerging technology including Blockchain, Data Science, IoT, Digital and Cloud infrastructure in specific insurance contexts. Mahendra has published thought leadership articles on blockchain and its impact in various insurance scenarios in multiple journals. He led the innovation and solution group at Capgemini Insurance where he led the Blockchain practice and created a distributed team of Blockchain practitioners. He provided advisory services on Blockchain technology and architecture to many global insurers and has developed multiple prototypes merging Blockchain capabilities with traditional insurance core systems for claims and policy use cases in non-crypto patterns. His personal goal is to leverage technology to create profitable ecosystems while enriching the lives of its employees and its customers. If you have any questions, please contact Mahendra at mahendra@propeller.vc.